Do you believe like we do that consumer buying habits have changed? That consumers believe their time is valuable and their purchase options are many? That consumers expect ordering options, fast and efficient order processing and other options that make them feel empowered? Do you want control over your retail future? If you answered ‘YES’ to any of these questions you now know why we created The Solo Series Self Serve Kiosk Bundle. Kiosks provide unprecedented convenience and are empowering to consumers. That’s particularly true of smartphone-toting, app-wielding Millennials. Kiosks and other digital innovations signify you are ready and able to meet their expectations on all fronts…Now and in the future. In a recent study 1,000 customers who had eaten at a quick-serve-restaurant in the last three months were surveyed. What was discovered is that wait time has really become a very impactful part of how they choose their experience. Customers are unwilling to wait a certain amount of time. The study found that only 36% of customers would wait in line if there were more than five people ahead of them. 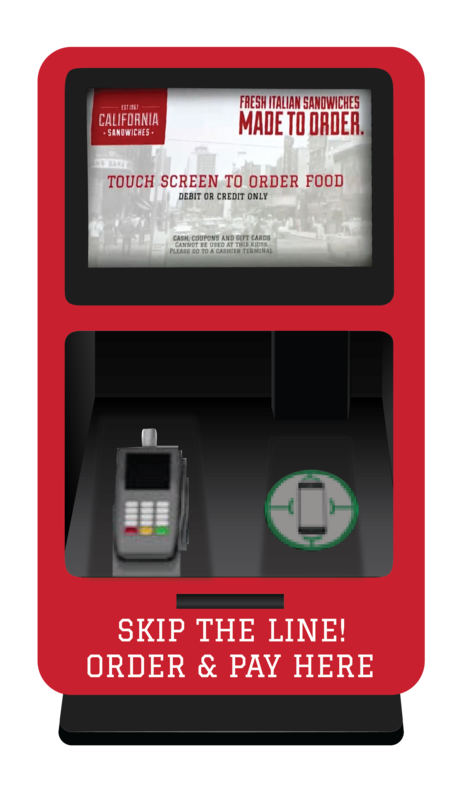 Ordinarily, a customer would leave if the line was too long, however the study found 80 percent of customers would order from the kiosk if the line was five people or longer and 61 percent would use the kiosk if the line was four people or longer, according to the study. 55+ year olds are 40% more likely. We’d love to hear from you. Please schedule a live demo and we’ll get back to you.